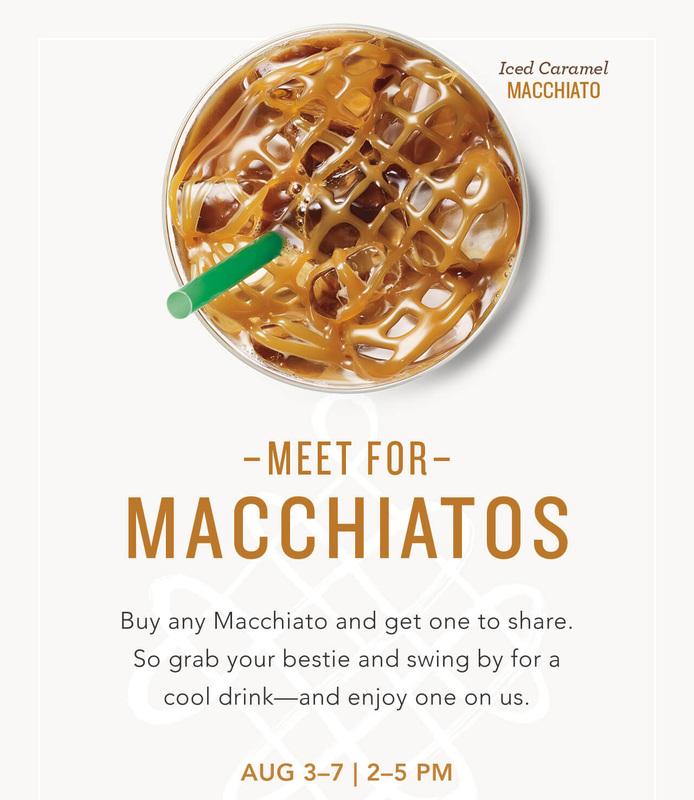 Starbucks has a buy-one-get-one-free deal on their Macchiato drinks today through August 7 from 2-5 p.m. This is a great time to try a new drink! I think I’ll be trying the Iced Coconut Milk Mocha Macchiato.